My guest today is C.A. Milson. He talks a bit about his odyssey from short story writer to writing his first novel. His topic is one we can all relate to as writers, the dream of being published and what we go through to realize the dream. “Never lose sight of the dream”. These words are from the song “Can you feel it” by The Jackson 5. How true those words are. As a writer, nothing is as satisfying as being able to sit down and write a great story. But being able to write is not easy, as one would hope sometimes. It is not something that can be done by the wave of a hand or thinking, okay, today I am going to write 5 chapters. Writing takes time, dedication and inspiration. Without these three things, one cannot write. I can remember the days when I started writing. It was back in 1989, and I wrote 26 short stories in a matter of a few months. Now, back then and being very naive as to how anything in the real publishing world worked, I thought I’d have the best thing since sliced bread on my hands. Of course, I was wrong. Many told me the stories I wrote needed to be made longer. That was hard for me to take, but it was also true. In 1989 I had no clue how to do that. I wrote from the first person POV, but what I wanted was to write in the 3rd person POV like Stephen King. The first book I read of his was Misery. That alone was enough for me to know that this was how I wanted to write. Of course, living in the “hopefully-someday-I-may-be-published” mindset, I knew that in order for my dream to come about I had to live in the real world…. And so I did… I lived in the real world and put writing on the shelf for 5 years. In fact, I completely forgot all about it for the most part, although I do have to say that I always had a certain niggling feeling that I had to write again, but I decided to ignore that. To learn how to write like a professional, I needed to read other writers and see their style. I am not going to say that writing is easy, as it is not. There are many times when we have to sacrifice what we want in order for our dream to be fulfilled, and one is going to get the barrage of negative comments and insults, not only from friends but also some family members also. Not only is there outside influences that give you all the reasons why you can’t, but you have your own inner demons that give you all the excuses why you shouldn’t. I’m sure we’ve all heard these ones we tell ourselves: You need to work to reach your goals. Can’t today, got too many other things to do, but I will get to it later. As I found out, later, sometimes never comes. In 1994 I was unemployed and living with my father. Back then, the only thing I had to fill my time was writing. So day and night I wrote, until 9 months later I had a two-part novel. Coming up with a title was also not easy. The original short story was titled Shack of Evil in 1989. In 1994 I changed it to Phantasmagoria, then Darkworld, then Phantasdominion, then The Chosen One. 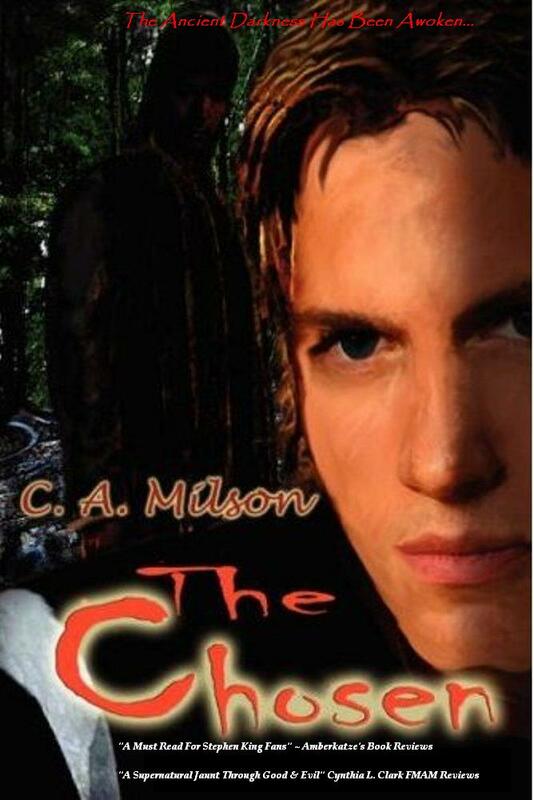 It wasn’t until 2007 when I edited the book and I changed the title to The Chosen. Although I had done what I wanted to do by writing in the 3rd person POV, I once again put my writing life on hold… For what seemed to be an eternity. I locked my writing away to live in the real world again, and for the next 14 years I worked in marketing. Now I’m not going to say that I regretted working in marketing, as I learned a lot. I got to work with some great companies in Australia, New Zealand, UK, Canada and the US. In 2000 I moved from Australia to the States. During my time in the US I worked for a few companies and learned a lot about real marketing. That experience helped me become one of the few multi-national marketing experts today. As great as working freelance and traveling the world can be, writing still holds a strong pull. One may be wondering how the heck did I get published? To be honest I am still amazed. 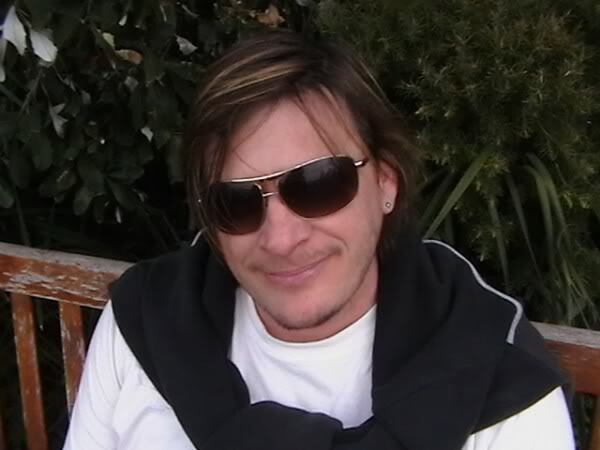 It was 2007 and I was living in New Zealand. I decided to send out query emails to publishers just to see what response I would get. Naturally I got a wave of the “No thank you” replies from 50-odd publishers, until I got an offer from a small Print On Demand Publisher. That day changed my life. Of course, that did not mean I could pack my bags and head for Hollywood—that rarely happens. The Chosen was released in July 2008. But then came the real work. How to promote it. I learned a valuable lesson in this. A majority of publishers will expect you to do most, if not all, the legwork. Sad, but it is true. For me, learning how to promote my own work is like relearning everything about marketing. Even though I have 15-years experience behind me in marketing, this is a different arena entirely, and one I am still learning, and sometimes learning comes from making bad choices. I guess one does not realize the quality of their work until they get feedback. Now I have had some wonderful reviews on the first release, and the feedback from fans and supporters is always a pleasure to read. Feedback, whether good or bad, is valuable to any writer. It helps us grow in our craft. It makes it all worthwhile. Born in Brisbane, Australia, these days Chris resides in Russia, where he spends most of his time freelancing his marketing services to companies in Canada, the UK and the US. When he’s not working in freelance, he is busy promoting of his novel online.Chris is a writer of supernatural horror and has also written 28 short stories, and is currently working on his You Tube project about Urban Myths and Legends. The Chosen follows the life of Alex Manning. A hero called to stand and face a destiny he wants no part of. Currently, The Chosen will be available in English and Russian through Amazon, Bookhabit, Mobipocket, available in Paperback and E-Book, in May 2009. The second novel in the series is titled Bloodline of Darkness and will be available later this year.